Now, things don’t always go to plan on the special day of the great ceremony and preceding celebrations. 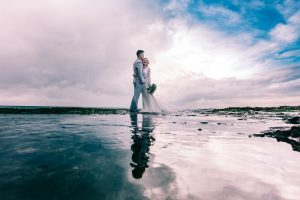 Weather, or simply circumstances on the day can make it difficult to get enough time with the bride and groom to capture quality couple portraits to go in the final album. This is why many couples choose to have a separate shoot, outside of the big day. The great benefits of this include: having plenty of time to take multiple shots, and play around with different angles and poses. This is also a chance get creative by working together with a beautiful location of choice to create unique images. But, where should you have your wedding photography in or around Sydney? Being home a to a diversity of great backdrops, it can be a tough decision. We’ve thrown together a list of beautiful places around this harbour city that may complicate the decision further, but with any luck will make you a little clearer on what you want. You can’t go wrong with the Harbour Bridge or Opera House in the background. These are classic locations for wedding photography in Sydney, and can be a great way to also celebrate your life in this city. Or Coogee, or Manly, or Cronulla…The list goes on. A sandy shore line with your feet in the salty water, and windblown beach hair for wedding photography in Sydney with a hint of paradise. As the Australian singer/songwriter says… “sand stuck in my bed, and memories in my head” Beautifully captured memories at that. The park going back the furthest in all of Australia. Your wedding photography will look elegant being surrounded by green in this 16.2 hectare of Sydney parkland. You have a variety of stunning locations to choose from around Hyde Park, including the mesmerizing tree tunnel. Continuing in the theme of trees and sprawling grass, you have the iconic and also historic (dating back to 1816) Royal Botanical Gardens. Like Hyde Park, the gardens are home to some beautiful old trees. 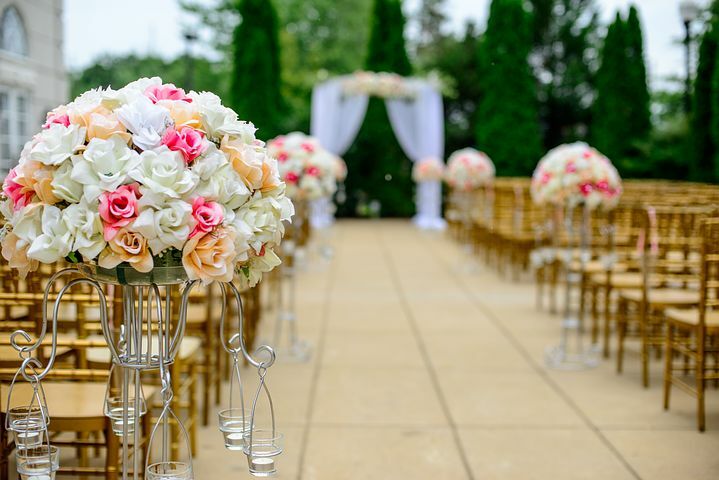 It spans The Domain, with areas dedicated to different kinds of floral displays and plants for an enchanting enchanting wedding photography in this Sydney parkland where the city meets the harbour. The University of Sydney Quadrangle sees photo-shoots every other day, if not by tourists then for wedding photography in Sydney in a classic setting thanks to the old sandstone, and being listed as one of the world’s most beautiful university campuses. A stone’s throw away from the big smoke are the Blue Mountains. For a panorama of blue tinted valleys framing your shots, visit one of the many lookouts in Blackheath, Katoomba, and other parts. If you want to capture a piece of paradise, shimmering waters, but don’t want the big winds and having to deal with a full on beach in dresses and suits. Sitting on the North Shore is this long pier with yet another great perspective of the harbour for your wedding photography in Sydney. SEO vs. PPC: Which is Right For Your Business? How Much Does It Cost to Hire Accountants in North Sydney?